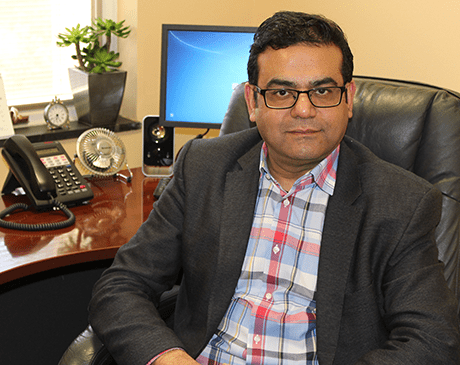 Dr. Irmindra Rana feels that becoming a medical doctor was his calling. After pursuing an undergraduate in electrical engineering at George Washington University, and working in the field of engineering for approximately a year, he realized that dealing with humans rather than machines was what made him happy. He decided to pursue a career path in medicine. He completed his internal medicine training at Jersey Shore University Medical Center followed by a fellowship in Nephrology (Kidney Diseases & Hypertension) at The University of Medicine and Dentistry of New Jersey. He loves what he does, and specializes in kidney disease and hypertension. Dr. Rana is affiliated with INOVA Alexandria Hospital, INOVA Fairfax Hospital, INOVA Mount Vernon Hospital and Virginia Hospital Center. He is board certified in Internal Medicine & Nephrology.